Since 1987, the canids in question — now down to the last 24 to 35 red wolves remaining in the wild — had their run of five counties in northeastern North Carolina. But pending federal rules, which could go into effect as early as Nov. 30 — would allow the US Fish and Wildlife Service (USFWS) to corner them into two spots in Dare County: the federally owned Dare County Bombing Range and parts of the Alligator River National Wildlife Refuge. Not only is the acreage insufficient to sustain the red wolf population, but the land is also slowly sinking — a natural phenomenon — into rising seas, caused by human-made climate change. The rest of the wolves could be swept up and transferred to zoos and nature centers. “Only 10 to 15 would survive in the wild,” replied Sierra Weaver, attorney for the Southern Environmental Law Center. The firm is representing the Red Wolf Coalition, Defenders of Wildlife and the Animal Welfare Institute in a lawsuit against USFWS. The complaint alleges the agency has intentionally failed to protect the critically threatened species as required by federal law. And under the pending federal rules, if the red wolves stray from their assigned space, people can legally shoot them without a permit. “The science says it will be the end of the red wolf in the wild,” within six to eight years, Weaver told the judge. Yesterday’s court hearing was the latest in a legal saga that started in 2013. That’s when the SELC successfully challenged the NC Wildlife Resources Commission’s decision to allow hunting of coyotes both during the day and at night — using artificial spotlights — within the red wolf recovery area. 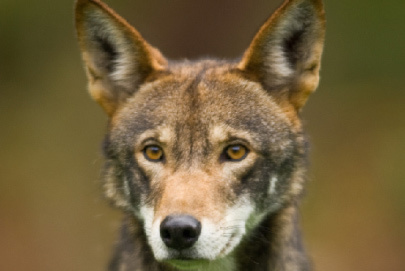 Order USFWS to revive its Red Wolf Adaptive Management Plan. That includes releasing more red wolves into the wild, as well as restarting its coyote sterilization program to prevent interbreeding. The agency abandoned both those programs, signaling it was essentially giving up on the species, more than two years ago. If USFWS declines to revive the plan, the plaintiffs are asking it to scientifically justify its decision. Require any significant changes to the rules to go through required analyses under the Endangered Species Act and NEPA — the National Environmental Policy Act. Under NEPA, the agency must conduct an environmental assessment to determine how its decision would affect the red wolf’s survival. The agency received more than 16,000 comments on the proposed rule. Among them were letters from Gov. Roy Cooper and the state Department of Natural and Cultural Resources, advocating for conserving the red wolf in the wild. Yet a small group of wealthy landowners have influenced, if not dictated, USFWS’s policy changes that would likely condemn the red wolf to extinction. At one time, the red wolf program marked a significant achievement for USFWS. The agency released the first breeding pairs of red wolves into the wilds of northeastern North Carolina in 1987. By 1992, the agency had declared the experiment a success. Through the first part of the ’00s, USFWS introduced more wolves into the habitat. It had a program to sterilize coyotes, which had encroached on wolf territory. Coyotes can breed with wolves and dilute the latter’s genetic purity. USFWS also prohibited people from shooting “non-problem” wolves. As a result, the number of wolves jumped to more than 100, raising the hopes of conservation biologists and wildlife advocates that the species could be saved in the wild. But from 2012 to 2014, USFWS and its state counterpart, the NC Wildlife Resources Commission, changed course. A few, but vocal and wealthy, landowners wanted the animals gone. The real motivation for many, though, was anti-government sentiment masquerading as opposition to the wolves. The red wolf population has plummeted since these policy changes, which may have emboldened some landowners to shoot wolves without a “take permit.” In late 2016, a red wolf was found shot to death on federal land, the fourth such animal to die that year, according to the most recent USFWS figures. The cause of death was not listed. From 1987 to 2000, 15 red wolves died from gunshot wounds, an average of 1.2 per year. But from 2000 to 2013, the total spiked to 73, an average of 5 per year — a 300 percent increase.